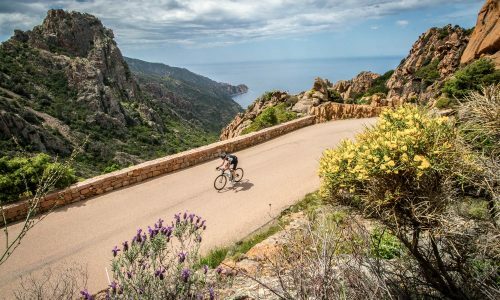 Corsica is a holiday island and a fabulous place to visit on or off the bike! Its climate lends itself best to Spring and Autumn visits - during the high summer it explodes into the family tourist market and is a very popular destination for the French. 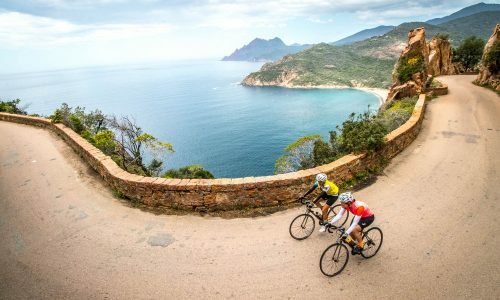 Its varied geology results in a stunning variety of scenery both coastal and inland: sandy beaches, rocky cliffs, azure seas, limestone peaks and lush green terraced hillsides. It won’t disappoint you.